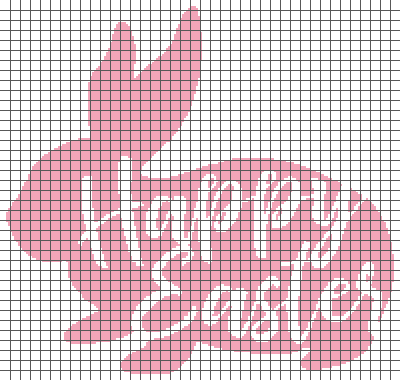 This single crochet graphghan pattern is 200 x 190 squares and comes with the written row-by-row instructions as well as the graph. You do NOT have to know how to follow a graph to crochet this! There are also tips included to help you with your project. Color names are suggestions only and do not refer to any particular brand of yarn. The size of the blanket will depend on your gauge/hook size and yarn. Due to the nature of the sale, there are no refunds. The pattern will be emailed as a PDF (not physically mailed) immediately upon payment. You can also log into the website (if you create an account) to download your pattern, or click the link that appears on the screen as soon as you complete your purchase.